Given the most recent outbreak of Canine Influenza in the New York area, we wanted to share the article below with you to help to answer some of the questions you may have regarding the virus. As always, feel free to call us anytime at 212-257-6900 if you have additional questions. Dogs with the severe form of influenza develop high fevers (104⁰F – 106⁰F, 40⁰C – 41⁰C; normal is 101⁰F – 102⁰F, 38⁰ – 39⁰C) and have clinical signs of pneumonia, such as increased respiratory rates and effort. Pneumonia may be due to a secondary bacterial infection. Influenza viruses are hardy: they do not persist in the environment for very long. However, they do spread easily between individuals. Transmission generally requires direct contact with an infected and contagious dog’s fresh saliva or oro-nasal secretions. The problem is that an infected dog is usually contagious before showing any clinical signs. Therefore, apparently healthy dogs can transmit the disease. A dog living in an area where outbreaks are being reported should be considered to have canine flu until proven otherwise. If your dog is from such an area, or there has been mention of canine flu on your local news, and he has a cough (and especially if he’s feeling sick), see your veterinarian. Don’t ignore it. Canine flu is very contagious, so clinics might request that you come in through a separate entrance. In a perfect world there would be a simple test that could be performed on a single sample and yield unequivocal results, but that’s not the case with canine flu. Tests that broadly detect influenza A virus should effectively detect both H3N8 and H3N2 strains. However, tests targeted directly at the older H3N8 are unlikely to identify H3N2 infection because of limited cross-reaction between their respective antibodies. Commercial PCR assays against H3N2 are currently unclear and it has been reported that tests used in several laboratories will not detect this virus. Testing for viral shedding (e.g., viral antigen ELISA, PCR, virus isolation) is effective but needs to be done as early in the course of disease as possible because shedding is generally early and brief. Checking blood for antibodies tends to be more effective later on, but that’s only if the test can detect the strain involved. More information about specific testing for H3N2is expected in the near future as we continue to learn about this virus. A rapid onset of disease – four to six hours – is matched by an equally rapid improvement in clinical signs after treatment begins. Summer may be coming to a close, but there is still plenty of time to spend in the sun. The warmer months present a wonderful opportunity for you and your pet to enjoy the outdoors, but they also come with an increased chance of run-ins with unwanted topical pests, otherwise known as ectoparasites. While this might be a discomforting thought, we are here to help you understand what to look for and how to prevent these bugs from getting the best of your pet. A flea is a parasitic insect which hops from one host animal to another, but can be picked up from the outdoors as well. Once a pet is infected, fleas usually spend their time on the abdomen, rump, and neck areas. However, they can be found anywhere on the body. These ectoparasites cause itchy bites, can spread illness, and, if not treated, their populations can grow quickly. While they do bite humans, they would prefer to hang around our four-legged companions. A tick is a parasitic arthropod usually picked up from the outdoors (mainly, but not exclusively, in areas with woods or heavy brush). After climbing onto their host, they will latch on and feed. As they feed, they will grow in size making them easier to detect with the naked eye. They are able to move to new areas on the same host or go onto other hosts, including humans. These arthropods are associated with many illnesses including Anaplasmosis, Ehrlichiosis, and Lyme disease which are the three most common tick-borne illnesses seen in the East Coast. Mosquitos are flying insect and well known pests to both humans and pets alike. Unlike with humans, the main concern when pets are bitten is the spread of heartworm disease. Heartworm disease usually affects dogs but can be contracted by cats and other animals as well. Heartworm disease has been diagnosed in all 50 states of the USA and is becoming more commonplace in NYC because of environmental changes. HOW DO I KNOW IF MY PET IS INFECTED? Fleas, ticks, and mosquitoes can cause dermal and behavioral clinical signs that you can easily recognize, such as increased itchiness, skin lesions, visualization of the ectoparasites, and discomfort or irritability. Furthermore, ticks can spread tick-borne diseases that can have a variety of clinical signs which include, but are not limited to, reduced energy, lameness, decrease or loss of appetite, generalized discomfort, pain, stiffness, swelling of the joints, respiratory distress, increased bruising/ blood spots (petechia) in mucous membranes, and occasionally, neurological abnormalities. Lastly, heartworm disease tends to be asymptomatic until the late stages of the disease, which is why it is recommended to screen your pet at least annually or when advised by your veterinarian. While these symptoms are commonly associated with ectoparasites infection, they do not guarantee that your pet has had contact with any of these pests. With that said, it never hurts to do a physical check at home for any ectoparasites before setting up an appointment with your vet. If you find a tick, you can remove it with pointed tweezers or with a tick key (which is often found at the pet store). It is important to make sure the tick’s head is removed with the body, although that may be easier said than done. If you are unsure about the removal, we recommend calling your veterinary center to bring your pet in for a tick removal and further tick check. WHAT DO I DO IF I FIND A TICK? As ticks carry a risk of transmitting disease, we recommend setting up an appointment with your veterinarian to run blood work that screens for common tick-borne illnesses. At Worth Street this is called the Heartworm/Accuplex test and it is used to check for both heartworm disease and the most common tick-borne illnesses found on the East Coast. We recommend this test to be done 6 – 8 weeks after finding the tick. We also screen with this test annually, even if you haven’t found any ectoparasites. Both heartworm disease and tick-borne illnesses can be easily prevented, and this test is one step in those protective processes. WHAT CAN I DO TO PREVENT FUTURE INFECTION? As we have had a very warm winter, we expect to have an increased prevalence of these parasitic insects. As such, we highly recommend starting a flea/tick and heartworm regiment as soon as possible if you haven’t already begun. The easiest and most common precautionary measure for fleas and ticks is to give oral or topical flea and tick prevention. Depending on which preventative is used determines how often it needs to be updated. At Worth Street Veterinary Center, we recommend using Vectra as a topical (spot-on) monthly preventative, Seresto as an 8-month topical (collar) preventative, or Nexgard as a chewable monthly preventative. We also recommend Heartgard, a monthly oral preventative, as the best safeguard against heartworm disease. Your pet’s health, needs, and lifestyle will determine which product(s) would be the best fit. Please discuss this with your veterinarian prior to starting. WILL THESE MEDICATIONS BE ENOUGH IF MY PET IS OUTDOORS A LOT? The flea/tick and heartworm topical or oral medications should be enough to help protect your pet against fleas and mosquitos. For extra protection you can also use a flea/tick collar in tandem with the monthly treatments. However, if you know your pet has a high risk of coming into contact with ticks, we recommend asking your veterinarian about the Lyme disease vaccination. This vaccine is especially recommend for large-breed pets as tick-borne illness can exacerbate commonly occurring joint-aliments, potentially creating more debilitating circumstances overall. Should you have any further questions on ectoparasites, or about which preventions, screening tests, or treatments would be best for your pet, please feel free to reach out to us via our app, website, email, or phone. We are always happy to help. It is no surprise that advances in health care technology have resulted in an increased life expectancy for both humans and their furry companions. Although ultrasound technology has been around for more than half a century, recent improvements in the quality of images and equipment cost have allowed this technique to become a standard diagnostic instrument in veterinary care. The use of this equipment gives veterinary professionals a window into the abdominal cavity, heart and other soft tissues; something blood tests, radiographs, CT scans and other non-invasive procedures can’t provide. Traditionally, ultrasonography has been used in veterinary medicine as a diagnostic tool to assess illness or suspected abnormalities. However, we at Worth Street Veterinary Center believe that the pet population can benefit from routine imaging screenings during their senior years as well. Since animals age faster than humans, your pet’s annual trip to the veterinarian is the equivalent to us visiting our primary physician every four to five years. As one can imagine, this is not always adequate, especially for pets in their golden years, who may need a more aggressive approach to their general healthcare. As with humans, aging pre-disposes pets to a variety of ailments including kidney failure, gastrointestinal inflammation, liver and splenic cancers, and abnormalities of the adrenal glands, prostate and other vital organs. Early detection is a key factor in managing these diseases and we believe your pet’s life can be positively impacted and extended with a proactive annual screening. Ultrasonographic evaluations are safe, painless, non-invasive, and unlike other diagnostic tests, don’t subject your pet to ionizing radiation. Starting this year, we at Worth Street Veterinary Center will be giving our clients the option to add a routine ultrasound to their senior pet’s annual exam at a very affordable cost. To learn more about your senior pet’s healthcare, or if you are interested in taking advantage of this valuable technology, please call our office at 212-257-6900. It is a New York City requirement that social dogs get two Bordetella vaccinations a year. As such, the majority of dogs in NYC are vaccinated for Bordetella, which is also referred to as ‘kennel cough’. But what is kennel cough really? Kennel cough, also known as infectious tracheobronchitis (meaning inflammation of the windpipe and bronchi of the lungs), is an upper respiratory infection caused by numerous infectious organisms. These organisms include Bordetella bronchiseptica (a bacterial organism), influenza virus, parainfluenza virus, adenovirus, distemper virus, herpes virus, and Mycoplasma canis (a single cell organism that is neither a bacteria nor virus). As you can see, there are a multitude of different organisms that may be affecting your pet. Therefore, even if your pet is vaccinated against ‘kennel cough’ with the Bordetella vaccine, there are a number of other organisms which create similar symptoms and can give your pet an upper respiratory infection. Some of the common symptoms include coughing, sneezing, runny nose, discharge from eyes, and lethargy. How does your pet become infected? Sick pets will shed the bacteria or virus in their respiratory secretions. Once these secretions are in the air they can be inhaled by other dogs and cause them to become infected. Areas with high pet populations and overcrowding increase the potential of your dog coming into contact with these pathogens (such as kennels, boarding facilities, groomers, dog parks, pet stores, rescue organizations, etc.). While Bordetella is easy to contract, it is also easy to treat. Should you find your pet is experiencing any of the symptoms listed above, or if you are interested in learning more about Bordetella, please reach out to us via phone (212-257-6900) or email (help@worthstreetvet.com). We are always here to help. Although an emotionally difficult topic for me personally, I want to create awareness of this condition as my 19 year old dog, Maxio, has been struggling with this progressive disease. Cognitive Dysfunction Syndrome is a chronic, progressive collection of various clinical signs that we notice in our aging pets because of degenerative changes to the nervous system. It is analogous, but not identical, to Alzheimer’s disease in people. Unfortunately, it is not something that can be completely cured. Many research articles indicate that the prevalence of this disease is high, with approximately 50% of cats and 68% of dogs aged 15-16 years and older affected. Research shows that some pets can even be as young as 6-8 years when they first start showing signs! On average, cats and dogs tend to be 10 years or older. How do we as veterinarians diagnose such a chronic, progressive disease? Cognitive Dysfunction Syndrome is a challenging medical condition to diagnose as it is a disease that can only be diagnosed based on the exclusion of all other illnesses that can cause the same clinical signs (a diagnosis of exclusion). We begin screening pets at the Worth Street Veterinary Center starting at about 8 years of age by doing thorough diagnostic tests to rule out all other potential underlying causes for the reported clinical signs, and by obtaining a very thorough behavioral history. Sometimes we even request clients to video tape their pets so we can evaluate more thoroughly! Based on the clinical signs and preliminary tests, further diagnostics may be recommended, such as advanced imaging of the central nervous system. What can we do to make affected pets more comfortable? Providing mental and physical stimulation is important as this helps keep the mind and body active and promotes cognitive health. However, it is important to note that these enrichment techniques should be structured, scheduled, and routine to help decrease stress to your pet. Due to the changes that occur with this syndrome, we always recommend that owners provide more frequent opportunities for their pet to go to the bathroom. You may need to create alternative bathroom opportunities as well, such as introducing low-sided litter boxes for cats, or more frequent walks and/or creating designated elimination areas in your home for dogs. Veterinarians frequently recommend dietary modifications and may add certain supplements so that important fatty acids and antioxidants are included. There are medications available that can help slow the progression of this disease and may improve cognitive function. However, it is important to note that they are not guaranteed to make a difference. Please speak to your veterinarian if you are interested in learning more. Anti-anxiety medications are given to pets that need to be treated for anxiety. Medications to help reset the sleep-wake cycle in order to provide both the pet and owner with better rest. Fundamentally, Cognitive Dysfunction Syndrome is a set of clinical signs that are recognized in our aging population of pets that cannot be explained by other types of illness. Working together with your veterinarian will ensure that your pets are safe, comfortable, and continue to live happy, healthy lives. As a veterinarian, I use all of the skills, knowledge, experience, and information given to me to come to a confident diagnosis. Though I have to say, I am still challenged by answering the question “Is this something to be worried about?”, after my client points to a growth on their pet. Although I wish I could have the power to diagnose the moment I get asked the question, I unfortunately do not. Being human has its limitations. There is no doubt that when you notice any type of growth on your pet, you should have your veterinarian thoroughly evaluate it. 1. How long has the growth been there? Where is the growth located exactly? You may notice the growth suddenly when you are petting your furry companion. However, if you have noticed it prior to examination for a certain period of time, please share that information with us. I advise that you do a thorough body inspection on a daily basis of your pet; that way growths don’t go unnoticed! 2. What is the shape, size, color, mobility, and texture of the growth? For the growths that have been on the pet for a longer period of time, have any of these criteria changed and how long has the change been apparent? This is very important information as it will help your veterinarian prioritize certain types of diagnoses. Using a caliper to get a more accurate size is advisable. Call your veterinarian to discuss the right caliper to purchase for you and your pet. I recommend keeping a little journal where you can write everything down, in detail! 3. Has your pet had a change in behavior coincidentally and/or surrounding the time when the growth was noticed? Some growths can be associated with certain behavioral changes. Knowing whether your pet has experienced a change in demeanor will provide another piece of valuable information for your veterinarian. 4. Are there any more growths on your pet? As mentioned previously, it is good to keep a journal where you jot down all the important and detailed information about any growths you appreciate on your pet. 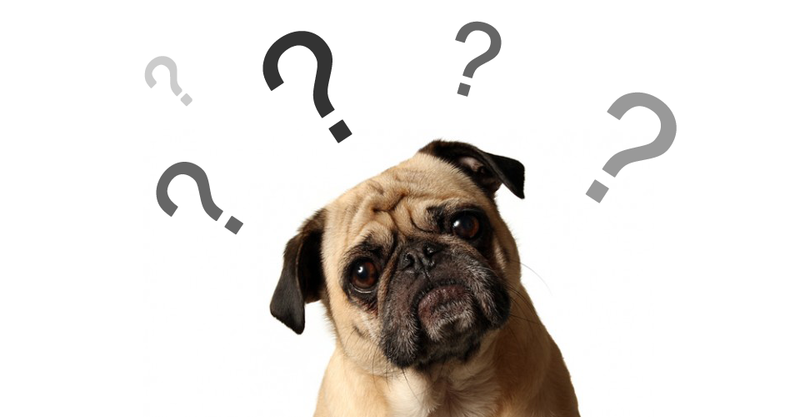 These are just some of the questions that you can easily prepare prior to your pet’s scheduled veterinary appointment. I mentioned earlier that I recommend keeping a journal, where detailed information can be jotted down. In this journal, I also recommend that you create a little “body map” of your pet. This is a very simple thing to do and gives you an opportunity to get creative! Please talk to your veterinarian so they can provide you an example and discuss this in more detail. Once you have discussed the pertinent information with your veterinarian and a thorough physical examination have been performed, further diagnostic testing may be recommended. This is an essential part in determining a diagnosis. Depending on the presentation of the growth, your veterinarian will decide whether it is best to take a sample in the form of an impression smear, a fine needle aspirate, an incisional biopsy, or an excisional biopsy. Because the conversation can get very lengthy regarding these techniques, I encourage you to inquire about them during your scheduled veterinary appointment so that you and your veterinarian can determine the best course of action for your pet. As I am sure you realized, the answer to the question “Is this something to be worried about?” is pretty complicated. Veterinarians greatly value the information and truly appreciate the time spent and effort invested by clientele so that growths get diagnosed quickly and efficiently. Although our winter had a mild start this year, I believe it can be agreed upon that we had some unpredictably frigid days and a blizzard comeour way without warning. Although we know what needs to be done to keep ourselves warm, healthy, and free of complications, there is uncertainty when it comes to our pets…..I believe it’s due to the fact that they can’t really speak our language! After seeing pets tackle winters for many years now, I have gained some insight into what we as pet owners need to know to keep our furry friends warm, healthy, and free of complications. These following tips can bring peace of mind as we welcome the winter season! 1. What weather is considered too cold for my pet? 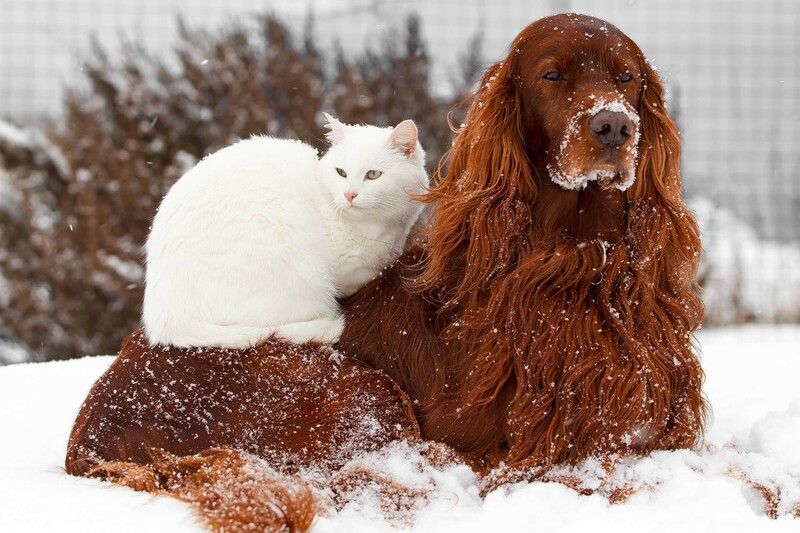 How cold a pet can get depends on the pets breed. Before you put on any warming clothes, I encourage you to do some research about the breed’s origin. Some dog breeds already have athick undercoat that keeps them warm. This is because the breed has evolved over time, and has adapted to much cooler climates from which it originated. If you have a healthy pet with a healthy coat that originated from a cooler climate, putting on any warming accessoriesmay cause heat exhaustion ifexpected to engage in a lot of activity. It is generally known that breeds with thin hair coats and our small breed dogs have a more difficult time in the winter asthey do not acclimate to the colder weather well. It should also be noted that pets with medical conditions, puppies and geriatric dogs are more susceptible to the cold weather. Be very cautious when taking themoutdoors in inclement weather. 2. How your pet communicates that he/she is too cold. Continue to monitor your dog in the beginning of the season so you get a better idea of the signs your pet will give you when he/she is cold. Signs that generally may mean your pet is cold include shaking, shivering, trying to huddle, or seekingwarmth to name a few. After you have made an educated decision regarding whether or not an extra layer of warmth is needed, you can find below some general rules of thumb to follow while considering clothing for your pet! Make sure that the clothing is appropriately fitted. Your pet should be able to move freely without any obvious signs of difficulty breathing. 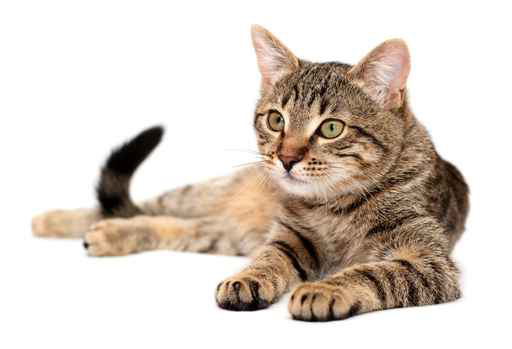 Your pet should also be able to posture to urinate/defecate easily. Give your pet some time to acclimate to their new accessory! Some pets can get really stressedwhen these accessories are placedon them and it is important to look for signs of anxiety. Gradually introducing your pet to their accessories is the way to go. Last but not least, use common sense when purchasing and placing a winter accessory on your pet! If you are uncertain of any accessory, feel free to give us a call! If it is really cold, do a short leash walk with your pets near your home so they can relieve themselves. Pets can get frostbite!! So please return home if your pet shows any indication of being cold as discussed above. Salt on icy sidewalks is painful for thosecute little footpads! It can cause drying out and then cracking of the footpads. If you notice any abnormalities of your pet’s footpads, I strongly recommend that you schedule an appointment so we could better assess them and prescribe the right therapy! Make sure that the hairs in between the toes are trimmed appropriately because they can accumulate ice! This can then lead to irritation, pain, and can predispose them to frostbite eventually. Promptly wipe down and dry off the feet and the underbelly of your pet when you come home! This will help prevent them from licking any impurities off of themselves while they groom.